Home / Travel / Senggigi Beach. Lombok Island, Indonesia. Senggigi Beach, Lombok Island, Indonesia. Senggigi Beach lies on the west coast of Lombok Island. 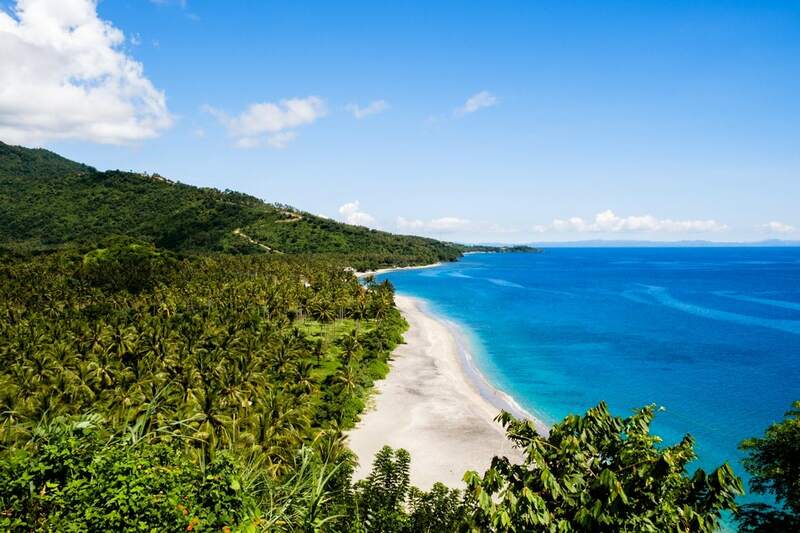 It faces the east coast of Bali in the Lombok Strait which connects the Java Sea to the Indian Ocean. This photo blog post shows a series of photos that I’ve captured around Senggigi Beach on Lombok in Indonesia. It rained a lot during the day and, in my opinion, the light at that time wasn’t ideal for colour photography. For this reason, I have converted some of the photos into black & white. Thus, it was a memorable experience to walk along the beach to watch and photograph the local people going about their daily routines. Man seats on rocks and looks at Mount Agung at sunset. Lombok Island, Indonesia. Fisherman at Senggigi Beach. Lombok Island, Indonesia. Black & White image of a Phinisi Indonesian Sailing boat. Man fishes while standing on a small boat after stormy weather. Lombok Island, Indonesia. Woman enjoys a swim at Senggigi Pier. Traditional Indonesian boat and man on the beach. Senggigi Beach seen from a cliff. Lombok, Indonesia. For more photos on Southeast Asia’s lifestyle you may visit my Travel page. Also read my articles on my Blog posts page.